Oh, the best way for a reindeer to enjoy a snack, agreed :-)! Nice outfit. Hope the reindeer food went down well! Rudolph stopping by for a snack. 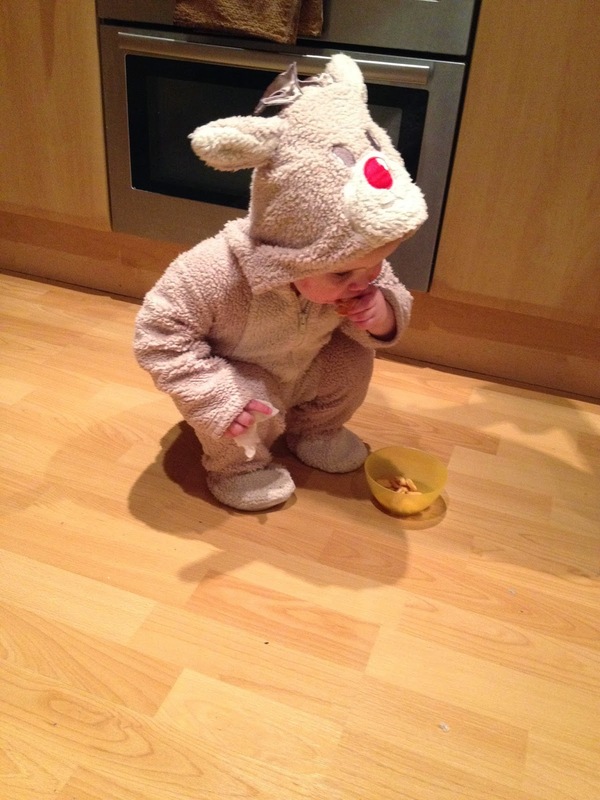 The cutest reindeer I've ever seen!